"I have used Eweb guide’s lead generating service for the last ---- months. I have seen a substantial growth in my business that has boosted my income with creative ways." "Ewebguide has given me the edge on my competitors through their professional search engine optimization. As my experience with Ewebgians is a part of security...”Whatever has been said, had done too”. So my faith in their services has been optimised for long-term relations." "I am truly impressed with your company to deliver quality work as an efficient Indian company. It is my pleasure to come across your site and making use of your services. My site went up in ratings within a few weeks on first few pages in Google among corers of websites." "From my first meeting, Ewebgians has always responsive to us as per quality Vs quantity even within short-noticing services. I would like to recommend Ewebguide for anyone looking to grow their business." I have felt that Ewebguide is always being ready to answer all of my questions. In fact, The time when they offered me lead generating service has highlighted my business with a wide spectrum of strengths and services. I would like to appreciate and recommend Ewebguide 24 hours services for link building as I experienced. I wish to thank Ewebgians who has ranked my website in top 10 Google ranking using 100+ well researched keywords and rated it with 50,000 daily visits with 1.5 Lakh page views in few months only. 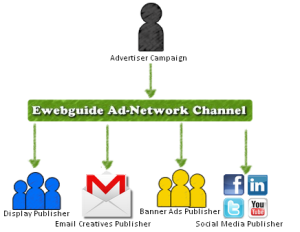 Ewebguide has given me the edge on my competitors through their professional search engine optimization. As my experience with Ewebgians is a part of security...”Whatever has been said, had done too”. So my faith in their services has been optimised for long-term relations. Since working with Ewebguide, Our Company has experienced smooth flow, well-written and compelling contents that are always 100% unique and dominates search engine too with 50+ keywords in top 10 Google ranking. I am totally impressed with EWeb Guide which delivered me the quality work and created the best environment to grow my business. It is my pleasure to be with EWeb Guide and using their outstanding services. My site has grown up in search ratings within a few weeks. First few pages ranked high on Google among crores of websites. From my first meeting, Ewebgians has always responded to us as per quality Vs quantity even within short-noticing services. I would like to recommend Ewebguide for anyone looking to grow their business. Ewebguide has generated updated and necessary information that has helped our customers to find us in a short while with the help of keywords. Their efforts with amazingly useful SEO tools has emerged our business into growing prospective ones. We would like to prefer EWeb Guide to everyone.